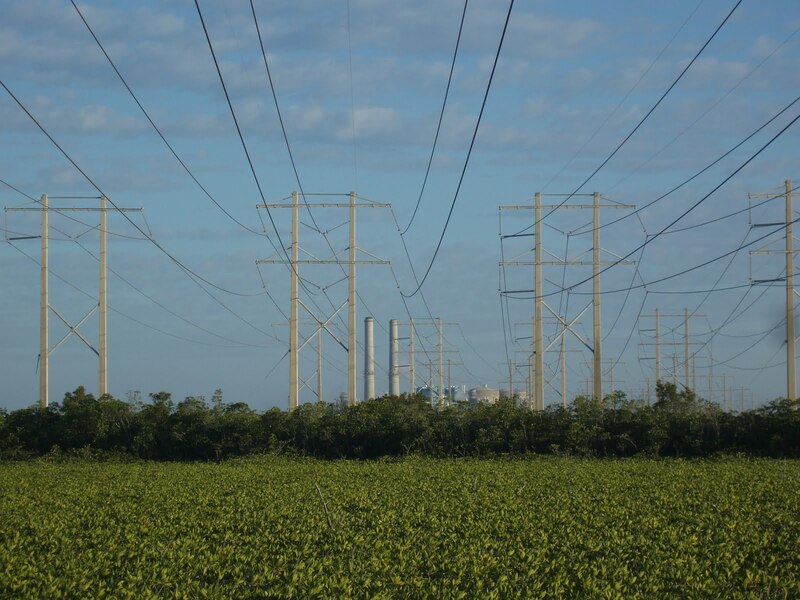 An impassioned standing-room-only crowd told park managers and a Department of Interior attorney to reject a plan to place 15 story-tall power lines along the edge of Everglades National Park. Twenty-nine of the 30 public speakers, wearing NO powerline stickers, objected to the 70 powerlines, that Florida Power and Light (FPL) is proposing to install. The only speaker in favor was FPL. The proposal drew sharp criticism from park users about why the Park would even consider the action. Some speakers asked if tourists would enjoy coming to a park with an “industrial horizon.” Many asked why the Park had even allowed the situation to get to this point. Others were concerned about what this precedent would mean to other national parks. A leader of a university environmental group broke down and cried in front of the microphone. The Mayor of Pinecrest Cindy Lerner, whose community is also fighting powerlines, called the Park plan “an aberration” and expressed support for those in the audience. The plan involves swapping the existing utility corridor that the Park has failed to acquire since it expanded 22 years ago. Legislation enabling the Park to pursue the swap that would allow construction of the power lines was placed into the 2009 Omnibus Public Lands bill. National Groups such as Sierra Club, National Parks Conservation Association, Clean Water Action and the Izaak Walton League joined by Tropical Audubon Society spoke against the powerline plan and one organization, South Florida Wildlands Association said it was already preparing to sue. NPCA delivered several boxes full of thousands of comments against the powerline plan. The National Park Service is accepting public comments online until July 10. To submit comments and support Alt. 3, acquisition of the FPL property, click here. 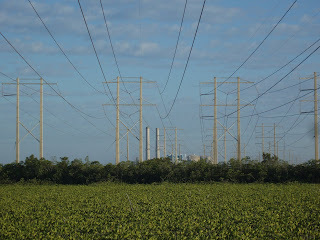 For the a list of documents related to the powerlines, click here or type http://bit.ly/industrialhorizon into your browser and click on the "document list" tab on the left-hand side.